The affiliates in the Northwest have teamed together to put together some great shows for 2015 and put the FUN back in cutting. For more information on entering or how to get your affiliate involved, please visit the sites listed below and contact one of the committee members. 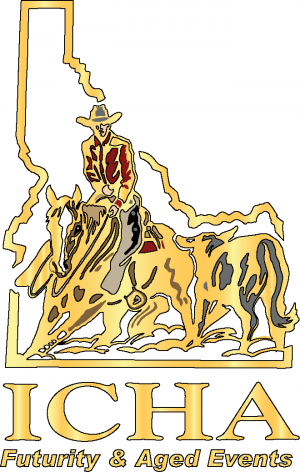 Entries by this Date: March 14th, 2015 Enter online at www.idahocha.com or at [email protected]. Entry form and horse papers can be attached to online entry or email address. ICHA membership can be taken at the show. Draws: To help ensure we have the correct cattle available, ALL classes will be drawn and posted one day ahead. Wednesday LAE draws will be posted Tuesday late afternoon. Stalls: Reserve stalls & RV hookups with Horse Park- 208-442-3335 or online @ www.fordidahohorsepark.com. NEW THIS YEAR-stalls/shavings & RV hookups will be RESERVED & COLLECTED for by the Idaho Horse Park. Stalls-$125 for nights Tue 3/17 thru Sat 3/21st. $90 Weekend only charge (Fri 3/20 thru Sat 3/21). Any additional stalling that is outside of the above dates will be charged $25/night, also collected by the Idaho Horse Park. Practice: Fresh cattle practice Tuesday the 17th, starting at 2pm. Sign up at show. Practice pens & flag available throughout show. Area Motels: Fairfield Inn 208-467-3335 Hampton Inn 208-442-0036 Ask for ICHA cutting show rate. 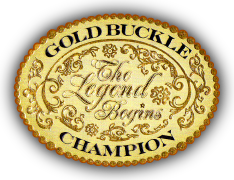 [/tab_item] [tab_item title=”Donate to the Youth Scholarship”] Your donation is 100% tax deductible to the Gold Buckle Champion’s 501 (c) (3) organization. A deductible receipt will be emailed to you. Read more HERE about Gabrielle Sanborn and the Scholarship Cutting and view the past winners. Thank you in advance for preserving our western heritage, our youth, and our sport.